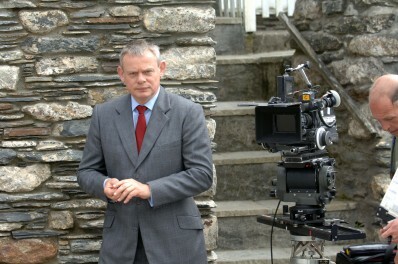 Filming for the latest Doc Martin series may have finished (see below) but Port Isaac continues to benefit from the programme’s association with the village. The popularity of the TV hit ‘Doc Martin’ has not only brought tourists flooding to explore our delightful seaside village. It has also provided financial support to the local community through The Doc Martin Fund. Focussing particularly on projects to help children and the elderly, the fund has supported a range of schemes such as a breakfast club at the school, an outdoor lift to increase access to the village hall, and replacing equipment at the village playground. One of the stars of the show, Ian McNeice, has also been busy raising funds for the local RNLI and village projects as reported in the local press. If you are planning to be the star of your own show in Port Isaac, why not treat yourself to a stay at The Beach House? Our gorgeous, luxury, self-catering accommodation will provide comfort and warmth for you and your family or friends.